After participating in a local neighborhood square dance, a man in China apparently became worried that photos would end up online. According to several major Chinese news sites (here, here, and here) and noted by The Nanfang, a man in Weifang became upset after photos were taken of him square dancing, an activity often enjoyed by older women. The man, however, noticed people taking his photo and felt he was being mocked. 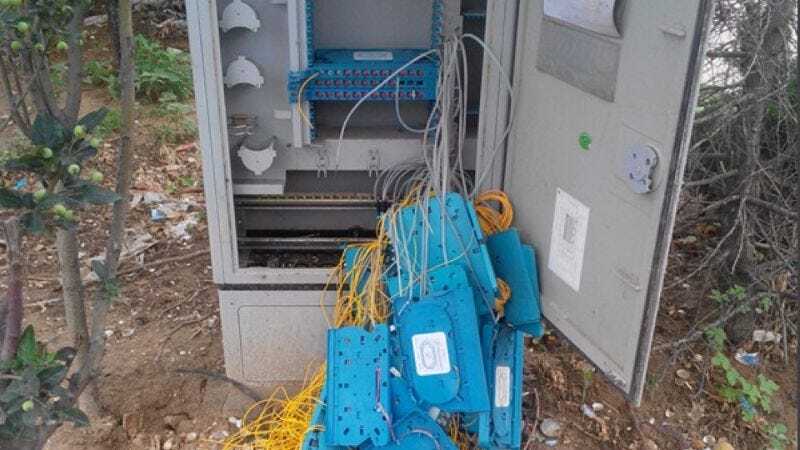 Concerned about possible online humiliation, it seems, the man allegedly dismantled the local optical networks—you know, the actual physical internet, but not the whole internet. He has since been arrested for causing 100,000 yuan (US$15,000) in damage. Gotta feel for the dude, though. He should be free to square dance his heart out without being judged! The Nanfang reports that it hasn’t been able to locate photos of this particular dancing man (though, it adds there are numerous photos and videos of other square-dancing Chinese men). So, perhaps, mission accomplished?